So here's some of the stuff thats been worked on recently. Although it may not look like alot, it's kinda hard to show balance, UINames, and unit voices in screenshots, but nevertheless here's some progress. Those who have been weary of IC's massive spam will be glad to know we recently did an Economy overhaul which drastically reduces the amount of cash thats going around (no more 40k surpluses). 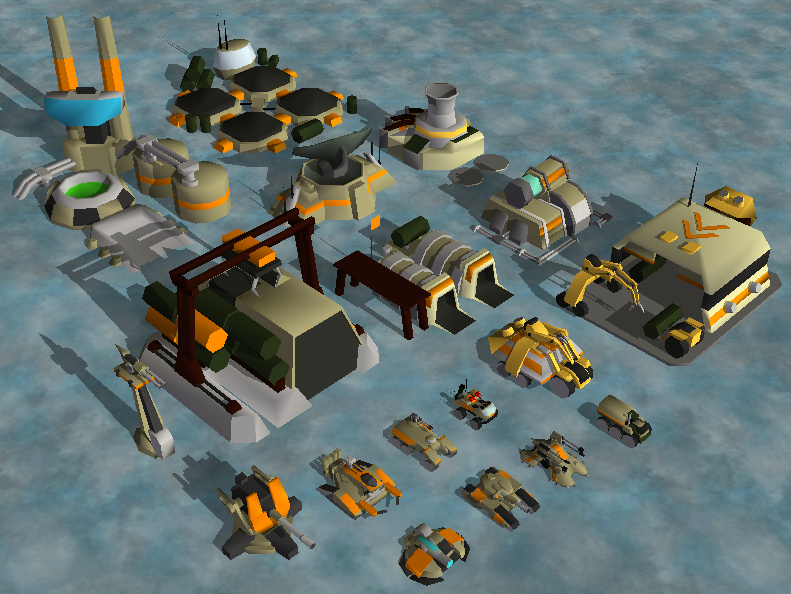 The First Pic shows a civilian gas station and the ra3 allies' pacifier hover vehicle, which is amphibious and has twin chainguns which devastate infantry. It also has the ability to deploy into a stationary mode will powerful 'Grand Cannon' artillery capabilities. Secondly, here's a few buildings that kinda slipped through the cracks and were left unfinished for longer than they should have. 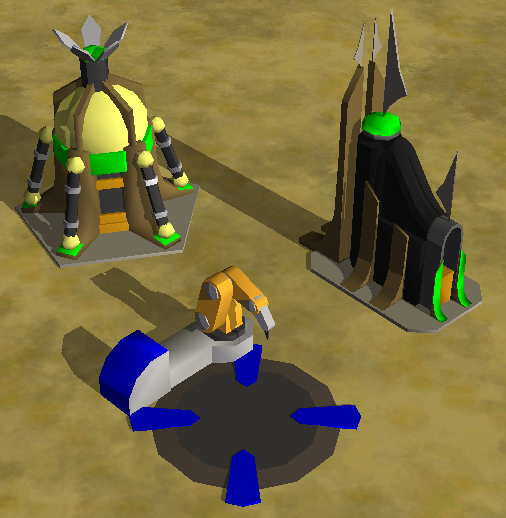 The ra2 allied repair pad, Yuri's battle lab and psychic dominator models. Finally, here's the campaign mission that I have been working on. It's a pretty standard mission, but what makes it awesome is the insane amount of troops and tanks the AI throws at you throughout the battle. 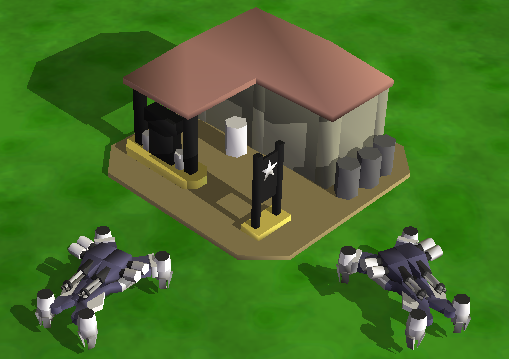 The different difficulties play differently, and on Hard I put about half a dozen more defensive structures, along with an additional barracks and war factory which makes the ai produce those waves even faster! Also cool GDI stuff there, first I was like nice stuff there, and only some moments later I realized that there was something not supposed to be in the mod in that pic. Are you perhaps gonna include the "tiberian universe" in IC as well or make some kind of sister-mod for it?